If service is what you're looking for, you've come to the right place. With 20 years of experience, an undying passion to find the fix the problem, and a love of meeting new people, service and troubleshooting are our specialty. Whether it's a broken spring, frayed cables, or openers that give you fits, we'll tackle them all. Or maybe you're looking to add some "curb appeal" to your home with a new garage door. We have many different styles available, and an artistic eye to help find just the right one to enhance your home the best way possible. Owner Andy Stapleton, (pictured left) began working in the garage door industry fresh out of high school. From shop-helper, to installer, to service technician, to sales manager.....he had done it all. 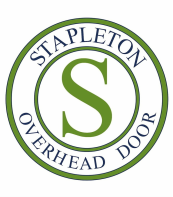 Deciding to realize his dream to run his own company, Stapleton Overhead Door came to be in April of 2009. You won't find anyone who understands the ins and outs, and ups and downs of garage doors and openers better than Andy. "Andy Stapleton is a garage door Ninja!"